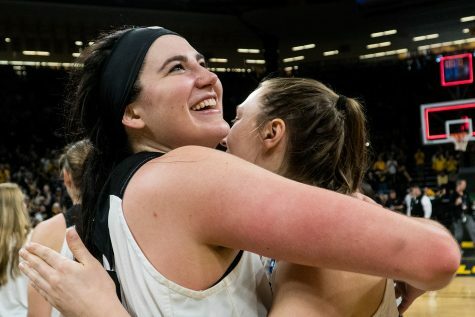 With the start of the 2019 NCAA Tournament right around the corner, The Daily Iowan breaks down of some of the teams Iowa could face early on. 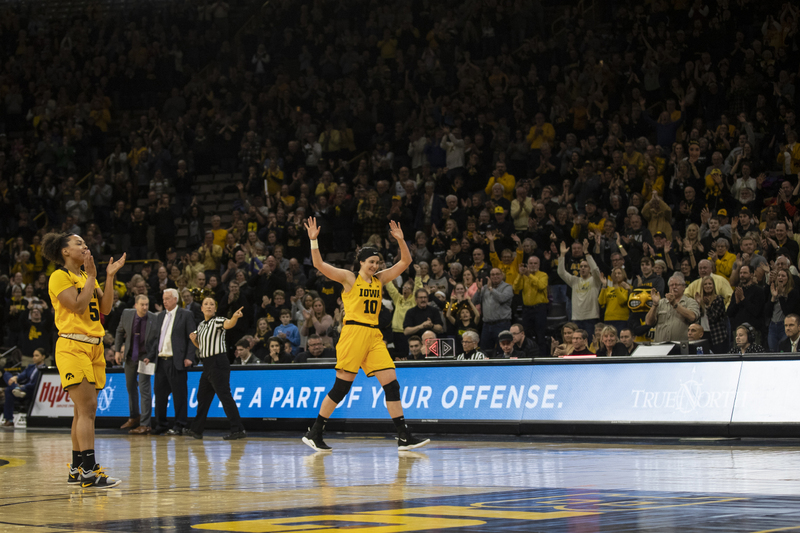 Megan Gustafson walks off the Carver court for the last time during women's basketball against Northwestern in Carver-Hawkeye Arena on March 3, 2019. 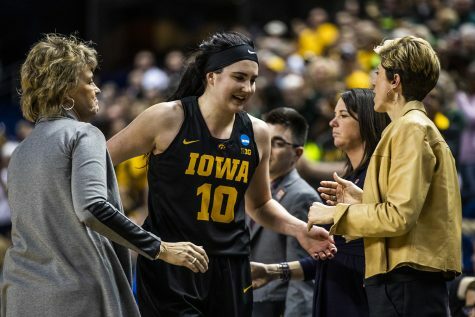 Iowa defeated Northwestern 74-50. 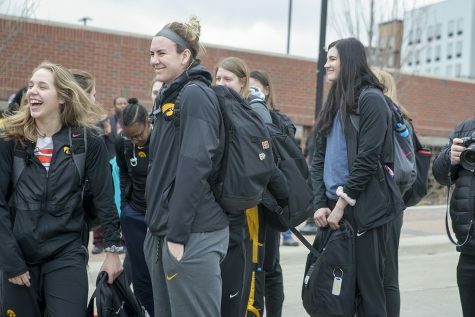 Iowa women’s basketball is getting to host the NCAA Tournament where it will face Mercer (25-7) Friday at 1 p.m.
With Carver-Hawkeye being the site for the worst two rounds, the Hawkeyes have a big advantage, going 28-3 at home in the past two seasons. 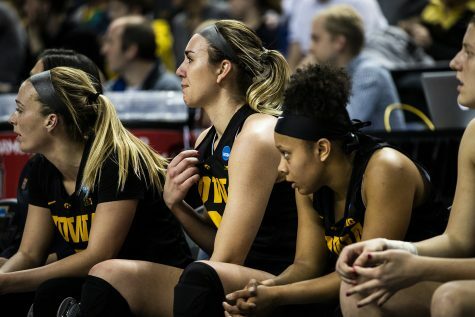 While Iowa awaits Friday’s game, The Daily Iowan takes a look at the three other teams that will be in Iowa City for the first two rounds. Strengths: Efficient is probably the best word to describe Mercer, especially offensively. They don’t turn the ball over, and they take high-percentage shots. The Bears were eighth in the country in 2-pointers attempted, which has helped them to an impressive 43.7 field goal percentage. With Mercer’s careful shot selection, it’s also careful passing the ball. Its assist to turnover rate (1.31) is ranked 14th in the nation, while the Bears’ turnover rate (14.3 percent) is seventh. Weakness: While Mercer excels at putting the ball in the hoop, it struggles to grab shots that don’t. The Bears are averaging just 36.5 rebounds per game (204th in the nation) and have the 195th-best rebounding rate at 49.5 percent. Contrast that with No. 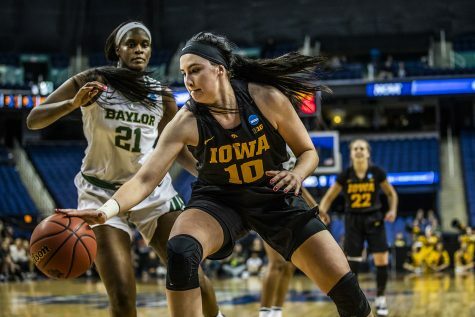 9 Iowa, which has a 53.8 percent rebounding rate (43rd in the country) and has held opponents to just 20.5 defensive rebounds per game, good for eighth in the country. Player to Watch: KeKe Calloway. The 5’9 guard has had a solid senior season. She has put up 17.9 points per game as well as 4.5 rebounds and 3.7 assists. There’s no question she runs the offense on the court for Mercer, as she had a 30.6 usage rate and can score from anywhere. Bottom Line: This season, beating Iowa has required strong 3-point shooting, great defense, and stellar rebounding. None of those are Mercer’s strengths. Not turning the ball over may help keep the Bears in the game but shouldn’t trouble the Hawkeyes too much. Strengths: Both Drake and Iowa are very similar in what they want to do offensively. They want to move the ball around, and take high-percentage shots. As a result, Drake and Iowa come out looking similar. Iowa is second in assists per game nationally (21.9) while Drake is third (21.1). Drake is 11th in field-goal percentage (47.4); Iowa is first (51.9). Naturally, Drake’s points per game is similar to the Hawkeyes. Iowa sits at 13th in the nation with 79.8 while the Bulldogs come in at 10th with 80.3. Weakness: Turnovers. Drake has a high volume offense thanks to a high-volume passing game – 74.3 percent of Drake’s shots are assisted, the highest in the nation. However, that comes at a cost. That price is turnovers; Drake averages 17.8 per game, which is 275th in the country. 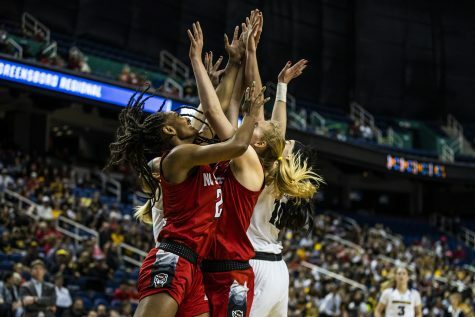 The Bulldogs don’t make up those lost possessions on the other end either, as their opponents’ turnover rate is just 18.7 percent, which ranks them 191st. Player to Watch: Becca Hittner. 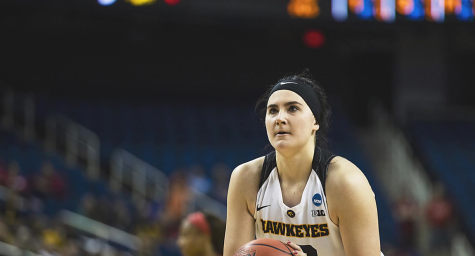 Iowa will remember her from its matchup against Drake earlier in the season in its 91-82 win where she dropped 32 points, 5 rebounds, and 2 assists. She continued to pace the team in points per game with 19.7, also handing out 3.6 assists per game and swiping 2.5 steals. Bottom line: Drake is a dangerous team. Iowa found that out on Dec. 21 when the Bulldogs took a 5-point lead into the fourth quarter. However, that game was in Des Moines. If there’s a rematch, it will be at home for the Hawkeyes, which should be a significant advantage. Strengths: Defense is the name of the game for the Tigers, as they’ve given up 70 points just four times this season while holding opponents to an average of 57.9 points a game. 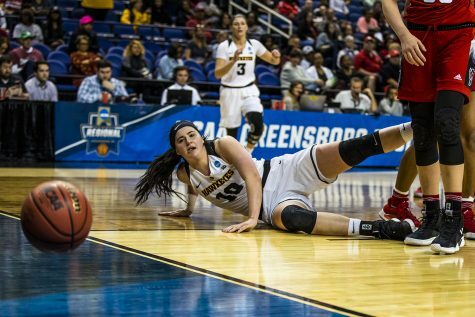 Missouri holds its opponents to a 40.6 effective field-goal percentage, which ranks 17th in the nation. 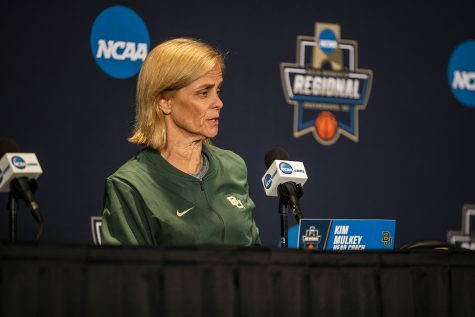 Especially effective is its 3-point defense that has allowed teams to shoot just 28.5 percent from beyond the arc. 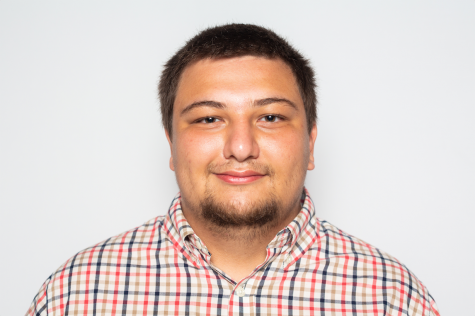 Weakness: Although it may not appear to be a weakness when looking at Missouri’s shooting percentage – it shoots at a 36.4 percent clip, good for 29th in the country – it only manages 66 points per game. That is due in large part to its incredibly slow pace of play. The Tigers average 64.9 possessions per 40 minutes of play, ranking 338 out of 351 Division-1 teams. Player to Watch: Sophie Cunningham. One of only two players on the roster who averaged over 10 points per game (18), she’s deadly everywhere. 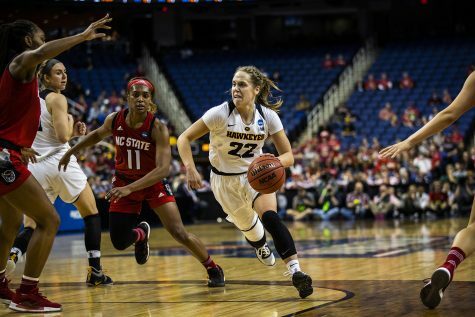 From 2-point range, she’s shooting 56.5 percent; from 3-point land she’s at an impressive 41.4 percent. The 6’1 guard also crashes the glass, racking up 6.1 per game along with 2.8 assists per game. Bottom line: Even with the Tigers’ weaker offense, this is definitely the most dangerous team for Iowa. Missouri defends extremely well and it can hit the 3 at the other end, two things that have hurt Iowa at times this season. However, Iowa can exploit it on the glass. The Hawkeyes are 24-0 this season when they’ve out-rebounded opponents (2-6 when they haven’t) and Missouri only averages 35.6 boards a game, which ranks 244th in the country.